Russian noblewoman, sad**t, and serial killer Darya Nikolayevna Saltykova was commonly known as The Saltychikha. She was born on November 3, 1730, and died on December 27, 1801, at the age of 71 from an unknown cause. She was notorious for torturing/killing over 100 of her servants who were mostly females. Darya has been compared to Hungarian, Elizabeth Bathory "Blood Countess" who murdered/tortured several servants (mostly females) in her castle. Darya killed between 38 to 147 people during her killing spree from the mid-1750s to 1762 and was arrested in 1762. She was sentenced to life in prison. Darya Nikolayevna"s parents were Russian nobles, Nikolai Avtonomovich Ivanov and Anna Ivanovna Davydova. Darya married at a young age to the noble Gleb Alexeyevich Saltykov who was the uncle of Nikolai Saltykov. She had two sons, Theodore who was born in 1750 and died in 1801 and Nicholas. 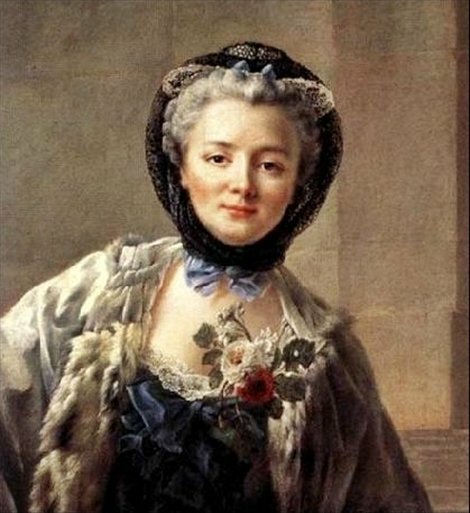 Darya became a widow at the age of 26 in 1755 where she inherited a substantial estate. Authorities would punish people who complained about the several deaths at the Saltykova estate or either ignored the many complaints. Darya had good connections with some people in the Russian royal court system and with the Russian nobility. Several relatives of the murdered/dead females filed petitions before Empress Catherine II, and Catherine publically tried Darya Saltykova. Darya Saltykova was arrested in 1762 and was held in prison for six years (1768) while the police did their investigation on her murders. Catherine"s Collegium of Justice investigated the records of the Saltykova estate and thought that there might be about 138 suspicious deaths that were done by Darya Saltykova. Darya was found guilty of beating and torturing 38 female servants to death. The death penalty was abolished in 1754 in Russia leaving Empress Catherine not being sure of what punishment to give Darya. Darya was chained in Moscow on a public platform for one hour, with a sign around her neck in 1768 reading "This woman has tortured and murdered" and was sentenced to life in prison. She served her sentence in the cellar of Ivanovsky Convent in Moscow. Darya was buried next to her relatives in the Donskoy Monastery necropolis after she died on December 27, 1801. Darya Nikolayevna Saltykova serial killer is a female serial killer. The Saltychikha is a female serial killer.